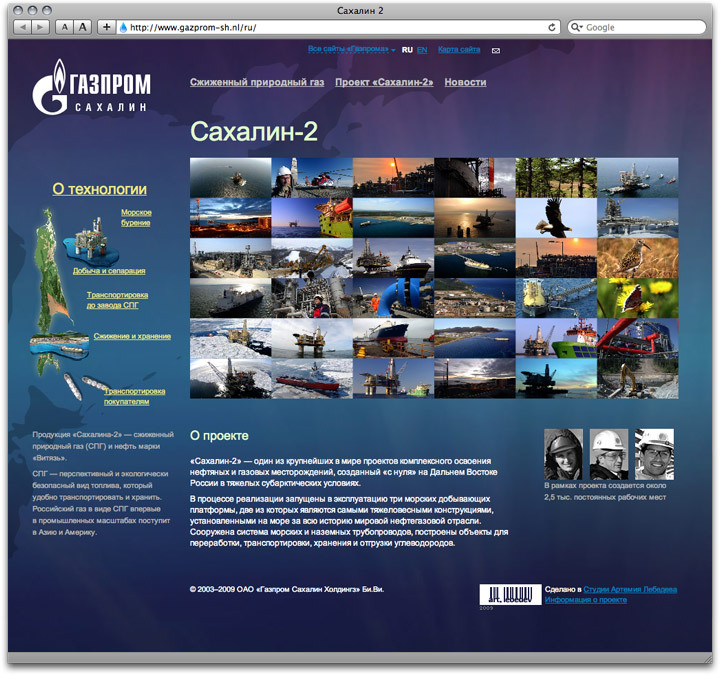 Problem: Design a website for one of Gazprom’s projects. 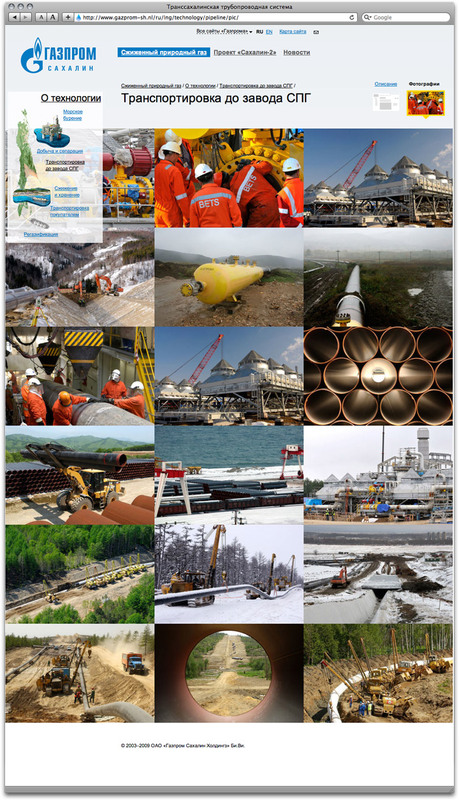 Sakhalin-2 is a joint project of Russian Gazprom, Royal Dutch Shell, and Japanese Mitsui and Mitsubishi. It involves oil and gas production from two Sakhalin offshore deposits. 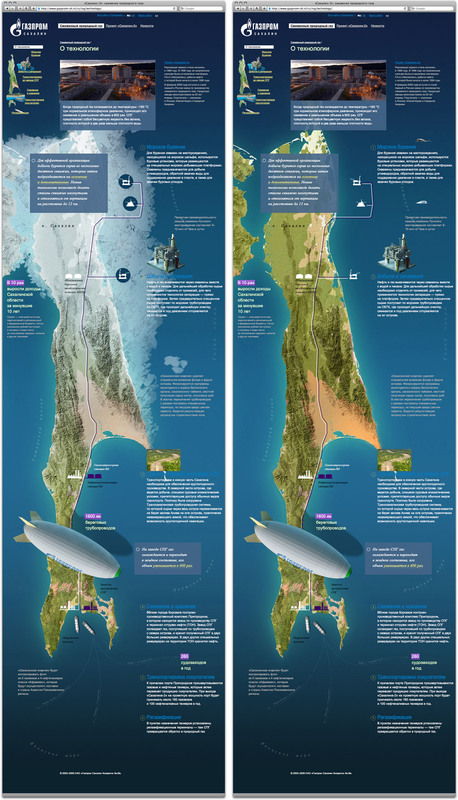 The site provides information on the project, its history and technologies. The major method is cooling the extracted gas to –160 °C and then shipping it by gas tankers as LNG (liquified natural gas). This is the first time this method is used in Russia. There are three platforms producing carbohydrates in northern Sakhalin. Once extracted, the products are shipped via pipeline to the south of the island, where the sea stays unfrozen. This ensures year-round supply. The gas undergoes liquefaction at the specialized LNG manufacturing plant and is loaded aboard gas carriers.